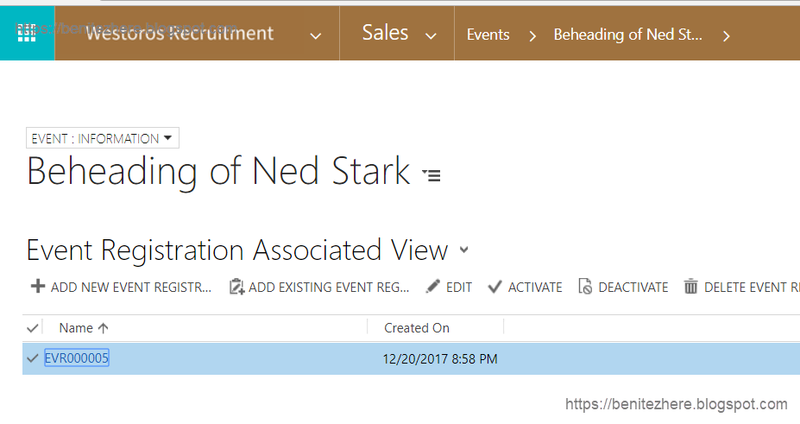 Hey Dynamics 365'ers, this is a follow-on from my previous vlog post where I showed how to enable a calendar for users on Dynamics Portals. The next step is allowing users to self register for the event they have selected from the calendar which is what I go through in this vlog. The following is what I applied as seen in my vlog. It doesn't take that long to configure. In my last vlog I showed that I used a custom entity called Event where these records were displayed in a Calendar style. This time you need another custom entity that will represent the user registrations. 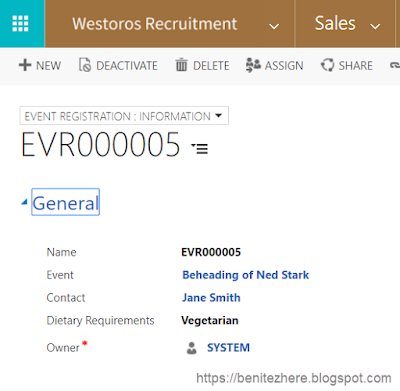 I created a custom entity called Event Registration and created a dedicated form for the portal. The key here is to have a lookup to the Event custom entity and a lookup to the Contact entity. 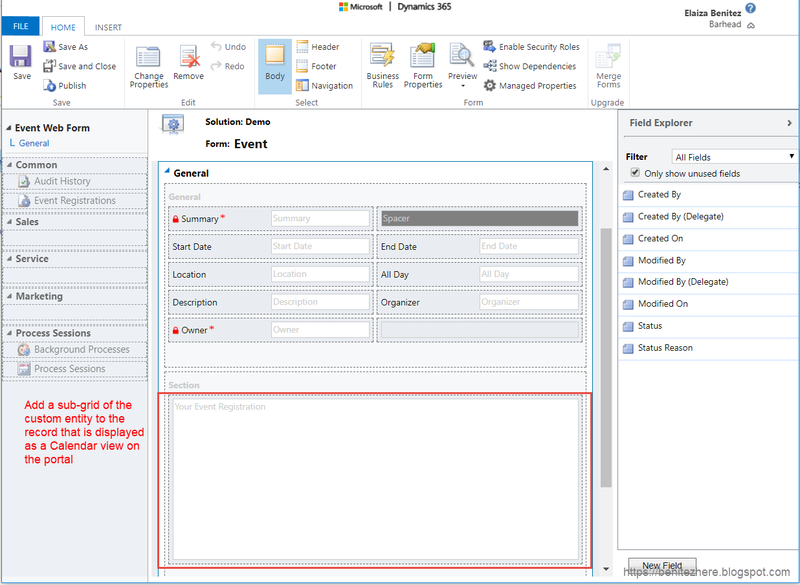 This form will be used by a Dynamics Portals Entity Form record. 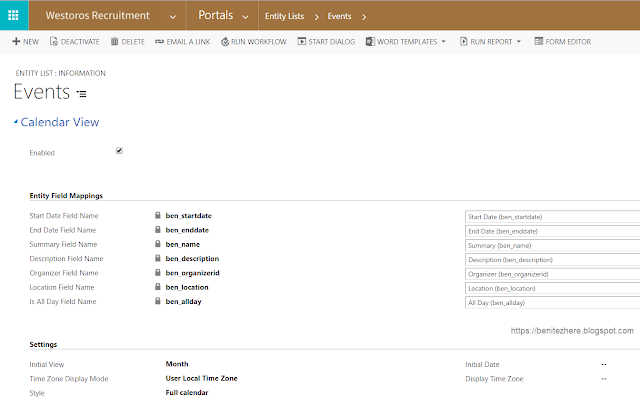 For users to be aware that they have registered for the event, I added a sub-grid to the Event form that is used by the Calendar in Dynamics Portals. 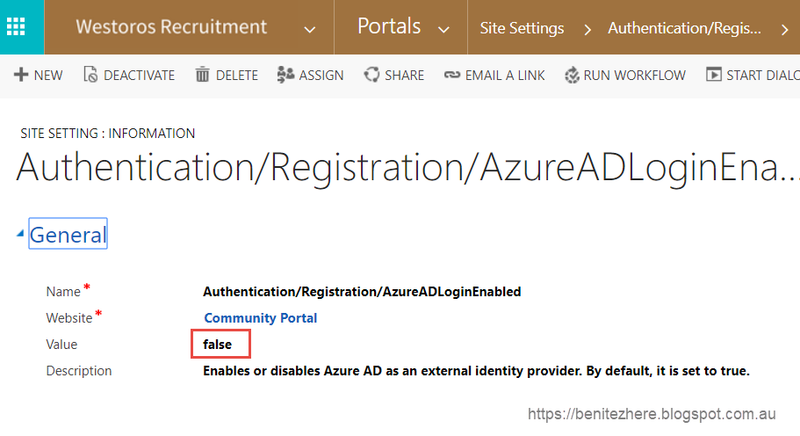 In the Dynamics Portal Event Entity Form record, you want to add the "Create Related Record" action and in here this is where you can select the custom entity created earlier - Event Registration, this is #1 in the screenshot below. Next step is to define the relationship which is the Event lookup field (#2 in screenshot). 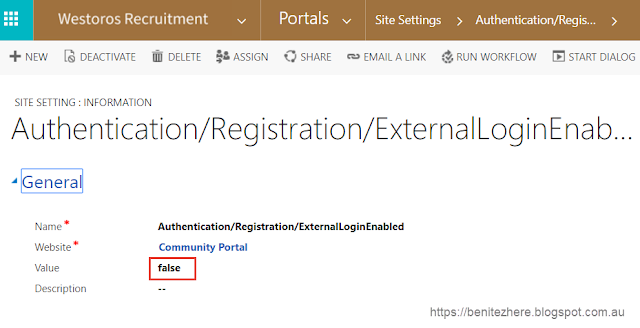 As a prerequisite to this action, you need to create a Dynamics Portals Event Registration Entity Form record that will be displayed as a modal when the user click on the Add Register button (#3 in screenshot). 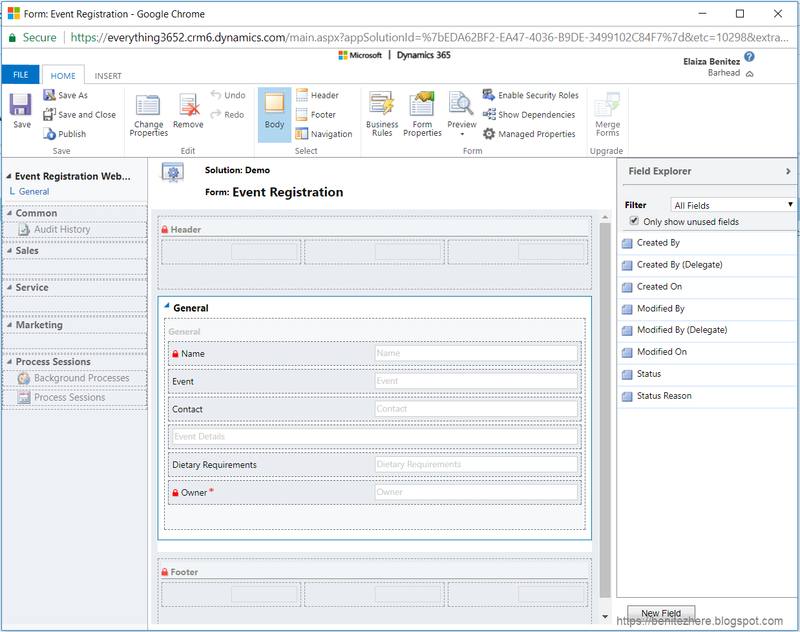 This is the dedicated Event Registration form for Dynamics Portals that I created in Step 1 above. The Target Type is Entity Form (#4 in screenshot) and in the last step (#5 in screenshot) you will need to give the action a label so that it will appear as a button to the user. Clear the cache and simply click on the Register button. The modal will appear and fill in the fields before submitting the form. The Event Registration record will be associated to the Event and the Contact. When you view the Event, you'll be able to see the associated Event Registrations. For the purpose of this vlog I navigated to the Event Registration Associated View. I didn't add a sub-grid in the Main form. 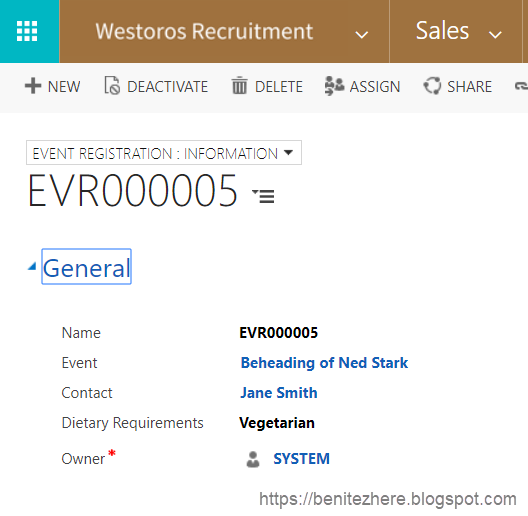 When you open the Event Registration record, you'll see the details of what the user entered through Dynamics Portals. 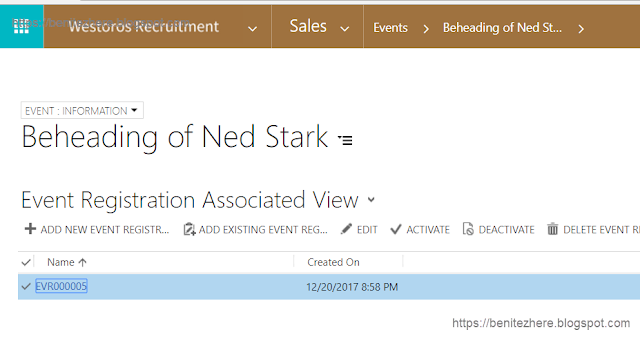 By using a combination of Entity List and Entity Form with an additional action, you can create a simple event self registration process. This is for a single event, this quick tip does not cater for a conference style registration process where there are parallel sessions or limited registrations per event. 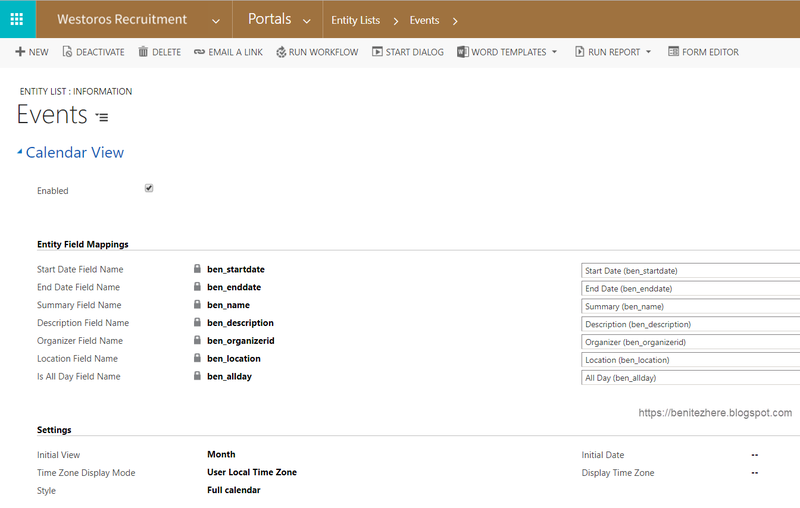 As mentioned in my last vlog post, there is Marketing for Dynamics 365 which will have preconfigured event capabilities including Dynamics Portals. Currently it is in Preview mode. This option does cater for conference style events so keep your eyes posted on what's coming. 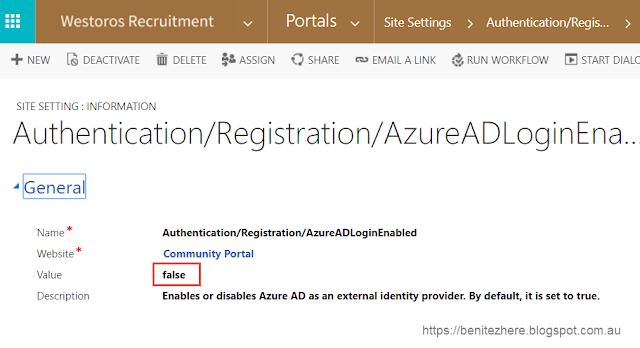 Currently the Event Management features that were previously available in Adxstudio Portals is not available for Dynamics Portals. Through an entity list there is a feature that can be enabled to display the entity list as a Calendar which is what I walk through in this vlog. In my vlog I use the scenario of registering an event to attend to in Westoros. The entity list I created is based on the custom Event entity I created. Scroll down in the entity list till you get to the Calendar View tab. Time Zone Display Mode - this is whether the record is presented in the user's local time zone or a Specific Time Zone. Once you have set configured the Entity Field Mappings and Settings, time to clear your portal cache and see it take effect. Ta da. No code required. Awesome sauce. OK so there is another offering where you can have a portal preconfigured purely for the purpose of marketing which you can read about it here. It is currently in preview and is not available yet to the general public. You can wait for this to become available however I am not 100% sure what the pricing will be and whether it can be included in a current Customer Engagement subscription. It is possible to show a calendar in Dynamics Portals through Entity Lists. To extend the out-of-the-box functionality, Colin's blog posts (see above links) outlines how JSON or XML can be referenced by liquid templates and how an iCalendar can be downloaded. If you are going to have a go with this out-of-the-box, you do need to have the administration web role so that you can clear the cache and review your configurations. Happy New Year to 2018! Here's a blooper reel I put together. I'll be posting a new Dynamics Portals vlog next week so make sure you've subscribed to my YouTube channel to get instant notification when I've published a new vlog. For some other humour, check out Ben Hosk's funny video.